Central Vietnam has got it all: temples, beaches, mountains, jungle, historic old cities, dynamic new cities, tropical islands, and delicious regional cuisine. Such is its appeal to travellers, that the area between Hue, Hoi An and My Son is often dubbed The Golden Triangle. 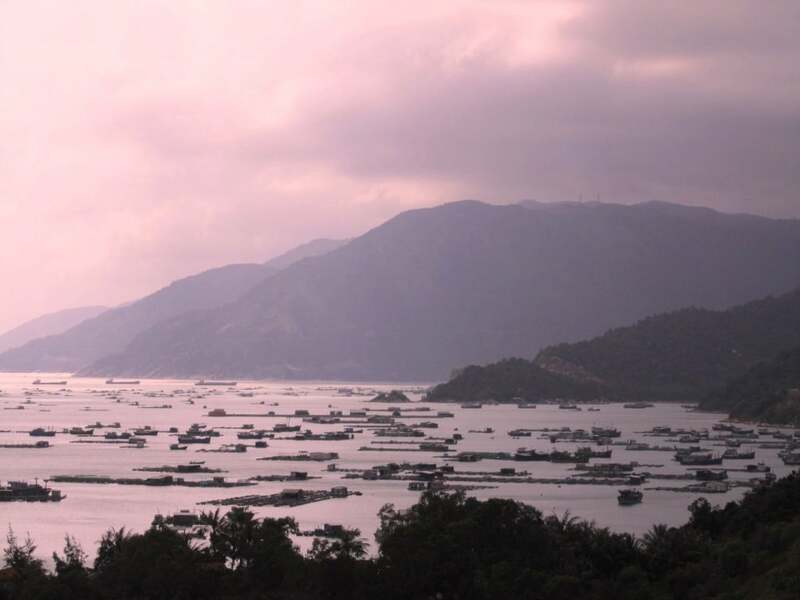 Many people choose to travel by motorbike between Hoi An and Hue, via the scenic Hai Van Pass. The popularity of this route is largely thanks to the 2008 Top Gear Vietnam Special episode. But there is an extension of this road trip which takes the ride, quite literally, to another level. I call it The Golden Loop. You can start this road trip from any of the three main cities on the coast: Hoi An, Danang, Hue. It doesn’t matter which direction you ride the loop, but below I’ve written my guide going clockwise, starting in Hoi An. Motorbikes are available to rent from hotels and guesthouses for $7-10 per day, or from Rent a Bike Vietnam’s Danang office (4 An Thuong 16 Street). Because this road trip is a loop, you don’t need to worry about bike collection or return. The route is fairly easy to navigate, road conditions are good, and the scenery is fabulous. You can comfortably complete this loop in 2 days, but with 3 or 4 days you’ll have time to really soak it up. I’ve written this guide in 3 sections, each of which could (but certainly doesn’t need to) correspond to a day on the road. I’ve also included places to stay and eat. The best time of year to ride the Golden Loop is late spring/early summer. Get an early start and weave your way out of the echoey, ancient streets of Hoi An at dawn. Hung Vuong Street rides atop flood dykes through glittering rice paddies, before leading to the non-descript town of Vinh Dien and across the roaring asphalt of Highway 1. 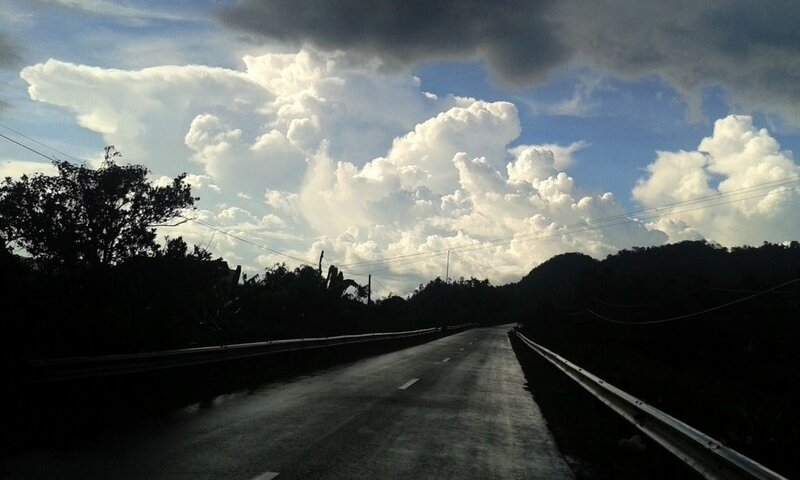 Heading west on Highway 14B, it’s not long before the road is folded into the green valleys of Central Vietnam. 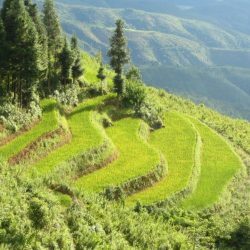 The farmland here is always crisp and shimmering, as if a light spring shower had recently passed over it: these valleys are constantly fed by fresh water running off the Truong Son Mountains to the west. Buffalo work and wade in the wet fields. There’s a sense of timelessness to this landscape, underlined by the presence of the ancient Cham ruins of My Son, just a few kilometres south of here, in the shadow of the unmistakable Cat’s Tooth Mountain. After a pleasant hour’s ride, Highway 14B meets the Ho Chi Minh Road at Thanh My. There are snacks, refreshments and a couple of guesthouses here should you need them. Bearing right (due northwest) on the Ho Chi Minh Road, the town of Thanh My is soon no more than a speck in the valley, as the road climbs sharply and dramatically into the mountains. Forested limestone ridges rear up, towering over deep crevices with sky-blue torrents at the bottom. There are very few buildings, people or vehicles: it’s difficult to believe that Danang, Vietnam’s fifth most populous city, is only 70km away. But this is by no means an undisturbed landscape: huge swathes of forest have been chopped and burned, and giant hydroelectric dams are being constructed on the mountain rivers. It’s very sobering to see the ‘development’ or ‘deterioration’ (depending on your view) of this area each time I pass through. Illegal logging is still a huge problem here, and the dams are attempting to keep up with the demand for power from Vietnam’s burgeoning population. 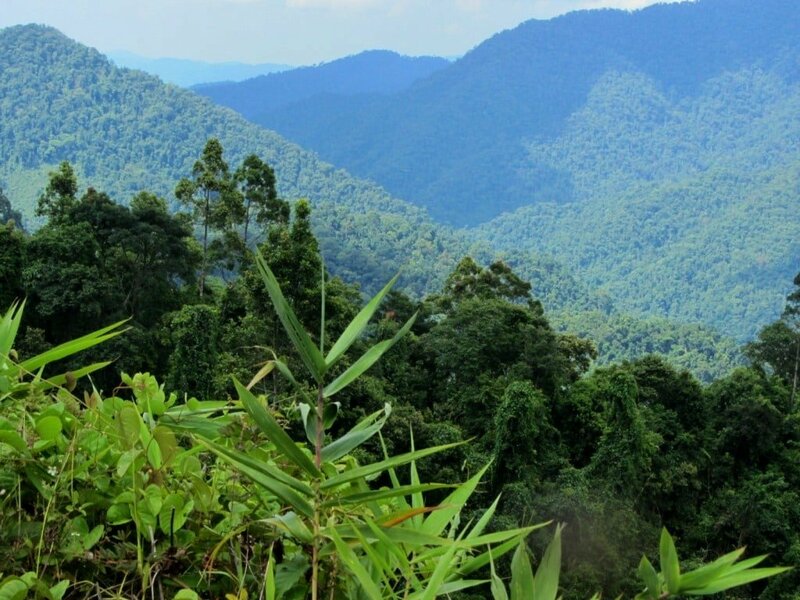 The second half of the 60km stretch from Thanh My to Prao is a helter-skelter of hairpin bends, curling up and down mountains that are so lush they appear to spray foliage over the road. This is an excellent riding road. After a dizzying descent, the small town of Prao appears in the middle of a tight valley. Tiny and remote, Prao offers a couple of decent guesthouses and a few food shacks. On the main road, just after passing the gas station, you’ll see Dung Thuy Rest House (051 03 898 636) and Huong Dao Rest House (051 03 898 264) right next door. Nhà Nghỉ Huyền Long (tel: 0510 6545 099) is a local guesthouse in a green building on the corner near the centre of town. Nearby, Quán Quỳnh Trang, on the main street, has excellent food in a rustic environment (if it’s open), but there are other quán cơm (rice eateries in the back streets too). I love the rough edge of this town, but I’ve also bumped into one or two drunk, xenophobic local men here, so it’s a good idea to keep your wits about you. 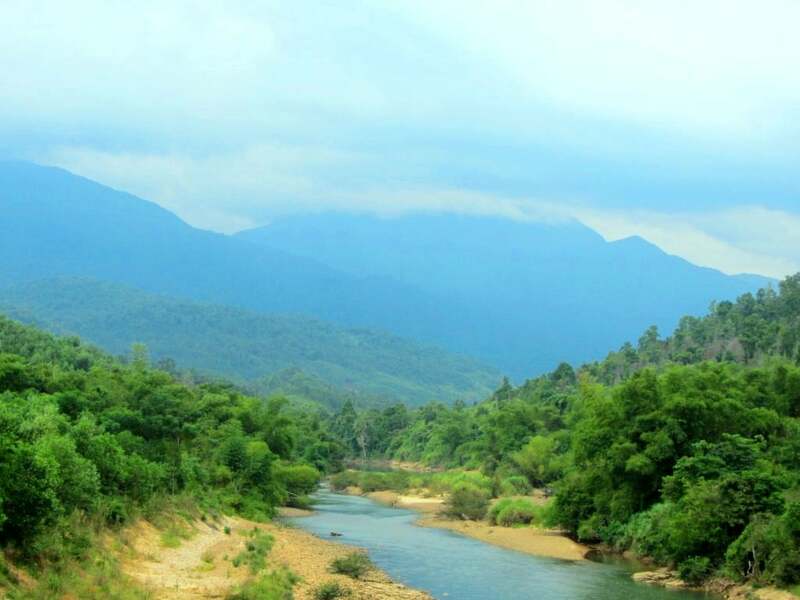 From Prao, the Ho Chi Minh Road follows a series of rivers along steep valleys. Eventually, the road leaves the valleys and heads up…..and up and up, in a series of looping switchbacks which curve around the contours until, when there’s no mountain left to climb, it glides along the highest ridge around. 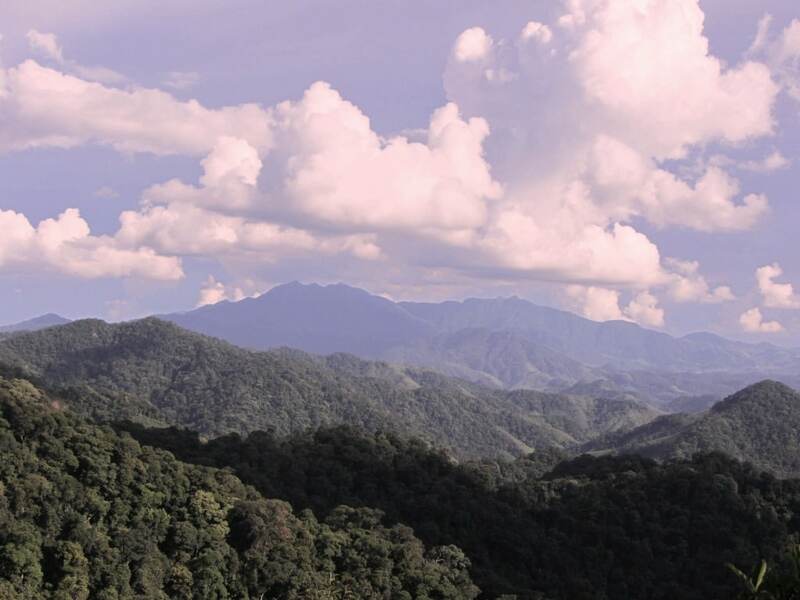 It’s an extraordinary ride and the views over unbroken jungle canopy are stunning. Even the road, when you look back at all the twists and turns, is a majestic sight: a Jackson Pollock in tarmac. The best thing about this 100km ride from Prao to A Luoi is that you have it all to yourself. You could spend the whole day on this section of road and count the number of other vehicles (or even people) on one hand. 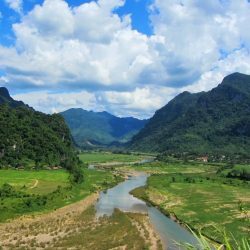 This is a remote and pristine corner of Vietnam, right on the border with Laos. 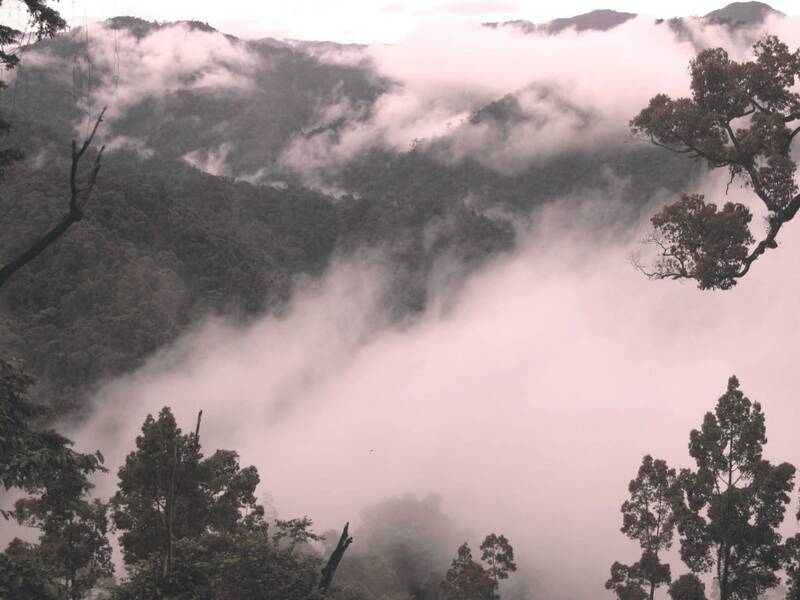 One gets the feeling, when looking out over the misty mountains blanketed in wet tropical foliage, that this is a special, somehow magical, place. Indeed, it is home to a semi-mythical creature: the sao la, or as it’s also known, Asian Unicorn. Only known to science since the 1990s, this elegant, deer-like animal, has yet to be seen live in the wild by any Westerner (trip cameras in the forest prove its exstence). But there are forestry cabins along this road for the conservation of the sao la, reminding you that, somewhere out there, the Asian Unicorn still wanders. There’s a marvellous sense of nature, space and isolation up here: quiet, still and fresh. The only man-made structures are occasional wooden homes, remote military outposts and, of course, the Ho Chi Minh Road. Before starting its long decent to A Luoi, the road carves two tunnels under two rocky peaks, coming out the other side to wonderful views down over a flat, fertile, farmed valley. Once at the bottom, it’s a straight ride to A Luoi, where Nhà Nghỉ Thanh Quang (tel: 0543 878 362) is a good place for a night’s rest (it’s on the right side of the main high street as you come in to town). There are several places to eat on A Luoi’s main street, most offering pretty average fare. A few kilometres before entering A Luoi, there’s a right turn (due east) signposted to Hue. This is Highway 49, which meanders down a mountain pass through a lovely landscape of fruit and spice trees – cinnamon, lemongrass, pineapple, mango, cashew, jackfruit – to the Perfume River Valley. This lush, peaceful valley is where the emperors of the Imperial Nguyen Dynasty were laid to rest, in elaborate tombs along the river banks. One of the most impressive is Emperor Minh Mang’s tomb, which is on the right, just before Highway 49 crosses the Perfume River. There’s superb accommodation in this area at The Pilgrimage Village Boutique Resort: perfect after a couple of nights ‘roughing it’ in the mountains, and also ideally located if you want to do some more ‘tomb-hopping’ the next day. If tombs aren’t your thing, then weave your way into the bustling streets of Hue City, where my favourite places for a night are: Jade Hotel (budget), Moonlight Hotel (mid-range), La Residence (luxury). 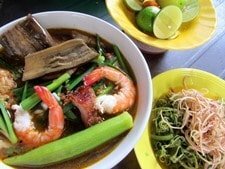 Food in Hue is outstanding: try to hit the street food carts around the Dong Ba Market, and look out for cơm hến (rice with tiny clams cooked in lemongrass) and bún bò Huế (spicy, aromatic beef noodle soup), both of which are Hue specialities. Road 49B veers south, skirting the eastern edge of the lagoon, before hitting Highway 1 at Phu Loc. However, if the weather is good and the beauty of the lagoon has cast its spell on you, consider a night at Verdana Lagoon Resort: an isolated place with cabins jutting out into the lagoon: very romantic. Having avoided Highway 1 for the entire loop so far, it comes as something of a disappointed that the last 50km to Danang is all on this main artery. However, this is without doubt the most scenic section on the whole length of Vietnam’s busiest national highway. Dwarfed to the south and east by the mountains of Bach Ma National Park, the highway clings to a narrow ribbon of flat land next to the coast. At Lang Co, it crosses a beautiful lagoon, around which there are lots of ‘rest stops’ for a meal with a view (either of the lagoon or the ocean, depending on which side of the road you choose). There are also plenty of hotels and resorts in this area. When there’s no more flat land left and the mountains meet the sea, the highway goes under them, creating Southeast Asia’s longest tunnel. But motorbikes aren’t allowed through the tunnel. And that’s a good thing because, instead, they must take the original route: the Hai Van Pass. Famous through the centuries as a difficult and dangerous pass that once divided kingdoms, today, the Hai Van Pass is one of Vietnam’s best-known ‘joy rides’. Jeremy Clarkson and the Top Gear team did wonders for motorcycle tourism in Vietnam when, in 2008, he declared this pass ‘one of the best coast roads [pause for effect] in the world.’ On a clear day, it’s hard to argue with him. However, as the name suggests (Hai Van means ‘ocean mist’) you may well find the incredible ocean views obscured by cloud. Either way, it’s a superb ride. Read my full guide to the Hai Van Pass HERE. 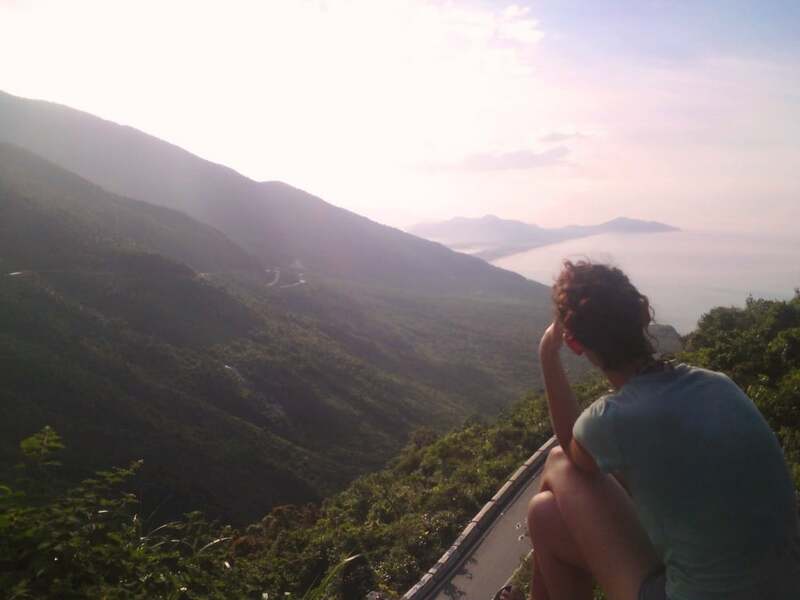 Dropping down from the Hai Van Pass, you’ll see Danang sprawling along the coast in the distance. 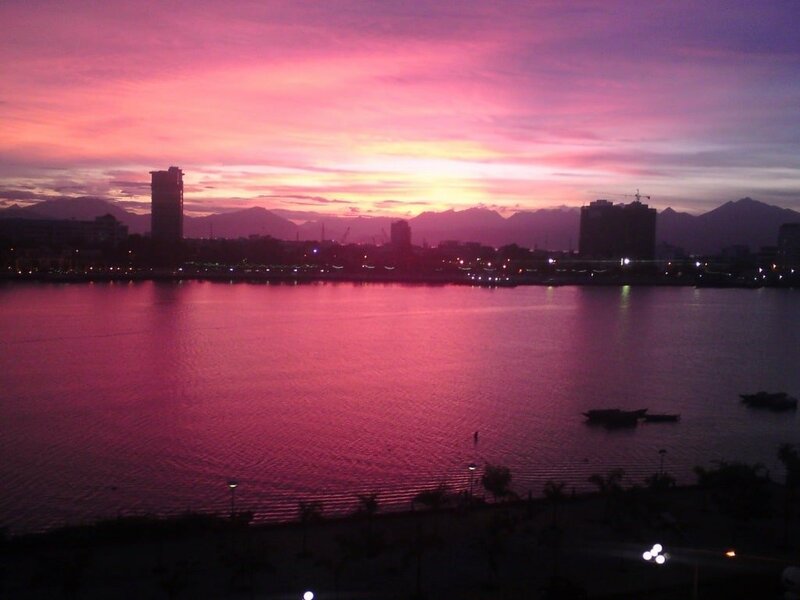 Not long ago, Danang was considered a grim city, best avoided. But today, it’s no exaggeration to say, that Danang is one of the most exciting, up and coming, hip and happening cities in Vietnam. It’s in a fabulous natural position, with the curvaceous Bay of Danang to the north and Danang Municipal Beach (formerly known as China Beach) to the east; the Han River cutting a north-south line through the city; and the lush Son Tra Peninsular at its northern tip. The latter has recently been made accessible to motorbikes, thanks to a new road that spirals up and over this knobbly headland. Taking this road is a great way to end the Golden Loop. There are stupendous city and sea views from the top, and you can even celebrate with an expensive cocktail at the new, secluded, and extremely posh Intercontinental Resort here. There are lots of good places to stay in Danang, including Sion Hotel (budget), Sun River Hotel (mid-range), and Novotel Han River (high-end). Look out for bún cá (a fiery fish noodle soup) and mì quảng (thick noodles in a shallow broth) while you’re in town. To complete the loop proper, take Vo Nguyen Giap Street along Danang’s municipal beach, past the rows of international resorts, casinos and golf courses, beyond the Marble Mountains, turn right after An Bang Beach and roll back into Hoi An. Massive competition means that accommodation here is among the best-value in Vietnam: I like Nhi Trung Hotel (budget), Pho Hoi Riverside Resort (mid-range), and Anantara Resort (high-end). 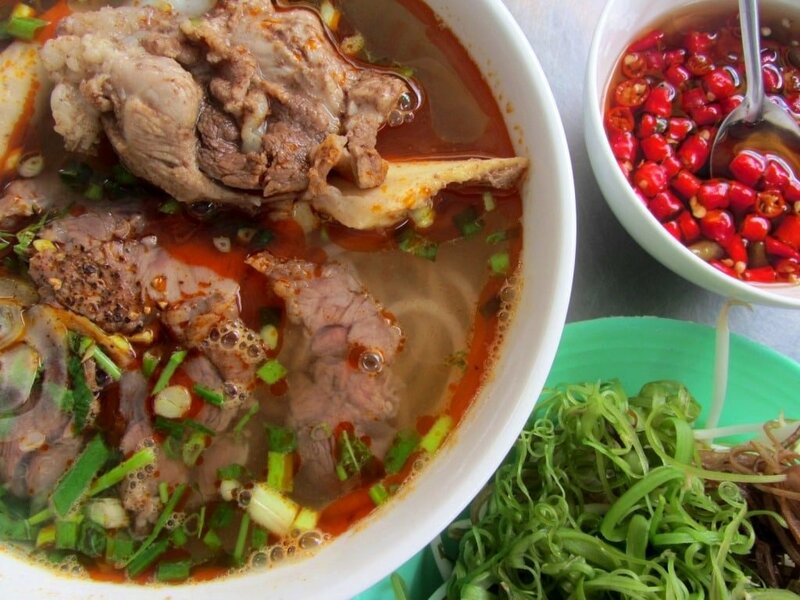 Don’t forget to try a bowl of cao lầu (thick, doughy, rough-textured noodles with pork) while in Hoi An, although it’s best to head out of the tourist centre to find good quality. 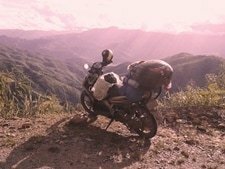 This entry was posted in ALL, Central, Coastal, MOTORBIKE GUIDES, Mountains and tagged A Luoi, Danang, guide, Hai Van Pass, Ho Chi Minh Road, Hoi An, Hue, motorbike, Prao, Vietnam. Bookmark the permalink. Just finished the golden loop, going from Hoi An through Hue and on to A Luoi on the first day. Day 2 was A Luoi to Prao, Than My and back to Hoi An. All road conditions were good. A Luoi to Than My was particularly uncrowded, with us passing maybe two or three cars and maybe five motorbikes. Totally doable in two days, but they are somewhat long days. About 7 or 8 hours of riding each day. Thanks, Chris. Glad you enjoyed the ride and that the road conditions were good and there was little traffic. Thanks so much for this helpful info! Some friends and I are planning to do this loop this weekend/first part of next week. I was wondering whether in light of the roads this loop is do-able on an automatic bike, or whether you would really recommend semi-automatics? Yes, an automatic is fine – just try to make sure you get one that’s in decent condition. Your guides encouraged me to give it a try and it was simply the most beautiful ride of my life! Thank you! Thanks, Andy. It’s great to hear you enjoyed the ride. I have driven all the way from HCMC to Hoi An following your guides and it has been a real pleasure. Heading west tomorrow to have a shot at the A Luoi – Prao stretch of road. Thank you so much for your guides it has been really precious , everything I need to know is in here. I’m sure I will continue coming here for the rest of my trip. Quick question : Should I stock up on gas to do Hoi An -> Prao ? It seems pretty remote and i am not sure on the availability of fuel on this road ? Thank you again so much for this resource. Great to hear you’ve been using my guides and that you’re enjoying your Vietnam road trip. There are gas stations on the road between Hoi An and Prao so there shouldn’t be any problems if you start the day on a full tank. However, the stretch from Prao to A Luoi (100km) is very remote indeed, so make sure you fill your tank in Prao. Thanks for the indispensable blog as always! I’m planning on doing an extended version of this loop in two weeks time. We will keep going past A Luoi and all the way up to Phong Nha, following your western HCM road guide. After a rest day (and cave tour!) we will ride back down to Hue before finishing with the Hai Van pass and onward to Hoi An. My question is this: Is there a route you would recommend from Phong Nha to Hue which avoids the main roads, other than back down the HCM road? ie. we want to do a loop and head down the east coast if possible. I have checked the map and see a couple of potential routes but would be interested to know if there’s any roads you would or would not recommend. Thanks in advance if you have time to reply. Yes, you can stick to the Eastern Ho Chi Minh Road on the way back from Phong Nha and then cut down to the small coast roads leading all the way down to Hue and beyond that all the way to the Hai Van Pass (you only have to stay on Highway 1 for a little while). For the exact route you can zoom in on the relevant sections of my Beach Bum Route, or just open this map which should be zoomed at the right section. I haven’t ridden those coastal back roads for about a year, but last time I did they were in good condition. Just a quick one – can you buy gas in Prao? Are there gas stations or can you buy it in bottles? We’re heading hp there from A. Luoi today. Yes, there are gas stations in Prao. I was looking on Google Earth while in my living room in Boulder, Colorado and this loop looked amazing. I have been exploring the internet putting together little bits of information from different sections of this loop and then I stumbled across this post! So very helpful! My wife and I are leaving Phu Quoc tomorrow and will be spending a few days in Hue before heading out on this adventure. 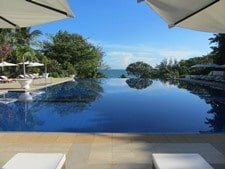 Quick question: is Prao the best place to stay along the way between Hoi An and Hue? Or, are there other options? Thanks so much for the helpful information. This is awesome. Yes, Prao is a good option for staying along the way. If not, you could stay at A Luoi, 100km north of Prao. You can also read a bit more about Prao, A Luoi and the route between them in section 4 of my Ho Chi Minh Road guide here. One more follow up question: is it possible to ride from Prau all the way to Hue in one day? How long should we allow for this? Yes, you could do it in one day, but you should start at a decent time in the morning to allow yourself enough time to do it. We just finished this loop. It was incredible. We spent three days in Hoi An and have just now returned to Hue. That section between Prao and A Luoi is magical. 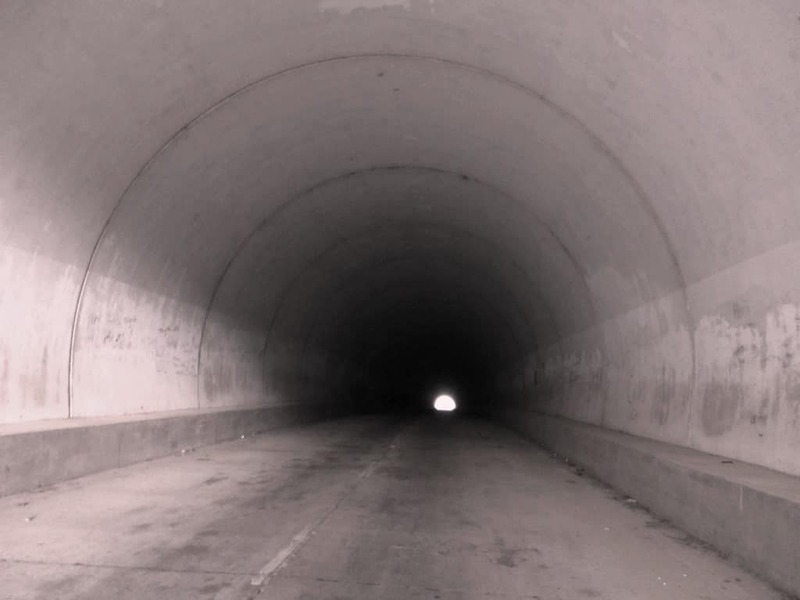 We had a perfect combination of sunny and beautiful, which instantly turned to misty and foreboding after going through the first (super creepy) tunnel, only to turn to nice and overcast for the whole ride down to Hue. All in all, this was an incredible experience. It is a wonder why the whole loop is not more common – especially when you see so many people riding between Hue and Hoi An. Thanks for the help and please keep putting up good content! my partner and i are visiting vietnam for the first time in a couple weeks. and after reading some of you bike tour routes i’m totally keen to try a couple. regarding motorbikes in general and carrying a passenger….. are most rentals basically automatic ‘scooters’ instead of actual motorcycles? and can you rent ones with panniers to help with baggage or do they have racks for bungies and etc? are they grunty enough to carry a passenger? my partner has driven scooters before, but i’m a bit wary of her on any high mountain roads without guard rails or something to keep her flying off the road in case of mishap. what’s the typical speed for travel on most roads? Yes, most of the bikes are essentially automatic or semi-automatic scooters (although ‘real’ motorcycles are available too). Carrying baggage and a passenger is absolutely fine as long as the bike is in decent condition – which it should be if you rent from one of the reputable companies (see the links in the right sidebar and bottom of all my pages). Most rental bikes will have either a rack on the back or panniers to carry your stuff. The average speed is fairly slow compared to roads in Western countries: 40-60kmph on good, straight roads, or 30kmph on small, windy, mountain roads. oh, one more question. my partner is concerned about breaking down in the middle of nowhere. are people willing to help out stranded tourists? or how hard is it to get help? Yes, people will always help. In fact, the further from the beaten path you are the more likely it is that local people will help you out in such a situation. You’re never that far from a repair garage in Vietnam, but even when you are, people will certainly stop to help if you’re in trouble. First of all thank you so much for sharing such comprehensive and inspiring stories and infos about this beautiful country! We were inspired by your Golden Loop motorbiking guide and we are so glad we followed the advice. We just completed it yesterday (we started in Hoi An and drove counterclockwise). We did it in 3 days with 2 nights in Hue (as I wanted to visit the Imperial Palace and look around a bit) an 1 night in Prao. Stunning views and so peaceful (when up in the mountains). We are soon heading to Nha Trang and would love to take another motorbike ride for a few days. 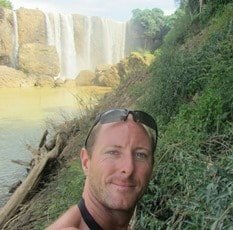 Is there a ride that you would recommend that would hit Dalat and possibly Mui Ne? Either one-way (if we can find a place where we can rent the bikes one-way and they transfer our bags) or as a loop back to Nha Trang. In looking at Google Maps there seems to be some options but I am curious if you drove it before and what are your thoughts. Great to hear that you enjoyed the Golden Loop. Yes, there are lots of good routes from Nha Trang. 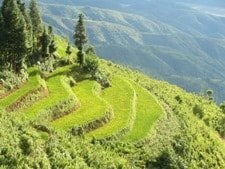 (I don’t know much about the one way bike rental from Nha Trang to Dalat but you can definitely do it). However, a loop makes a lot of sense, because it’s a great area. My advice would be to head south to Cam Ranh Bay and Cam Lap Promontory, then take the Nui Chua Coast Road down to Phan Rang. Then you can either continue south to Mui Ne on the Dragon’s Graveyard road followed by the Sand Dune Highway. Or take Road QL24 from Phan Rang straight up to Dalat, and then from Dalat back to Nha Trang take road DT652. All of these roads are fantastic and make great loops. You could also include the Burnt Road or the River Road if you want to go inland from Cam Ranh and towards Dalat instead on continuing along the coast. 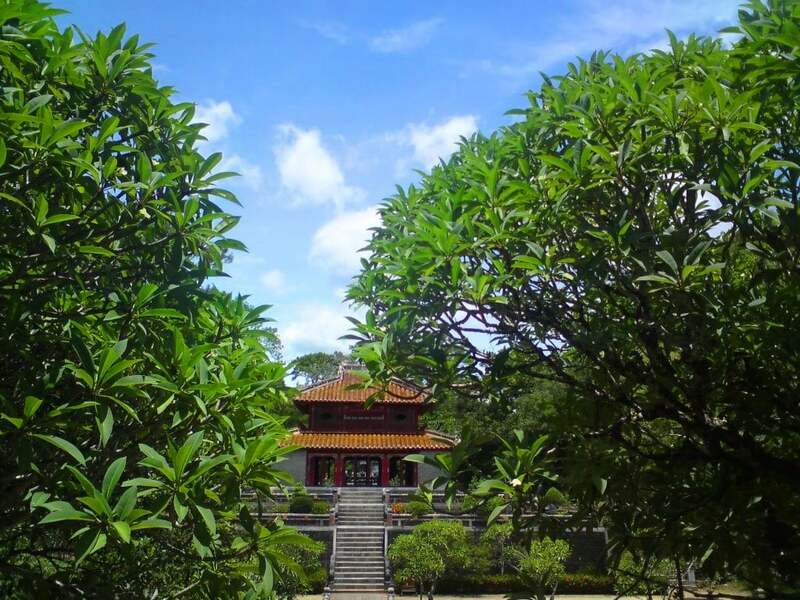 Keep sharing your Vietnam adventures … so inspiring. The ‘Golden loop rout’ looks great. We’ll be in Vietnam in mid April and we only have 13 days that we want to split between the Hanoi area and Hoi An area. Are two days enough for this rout? Thanks for all of the info! We are heading to Vietnam in late March. We’d like to do Hoi An-Prao-Hue (280km) all in one day as we have a tight schedule and want to be able to stay in both of these towns. I know this equates to about 6-6.5 hours on the bike at 50km/h. Would you say this is doable given the terrain/road conditions etc? We’ll be able to leave Hoi An at day light so we’d have plenty of time in terms of light but wanted to make sure we aren’t over doing it. Any insight would be appreciated. Thanks! Yes, you could do that in one day, but you will need to leave Hoi An at first light: between 5-6am would be good. Driving time will probably be around 7 hours because the terrain is so mountainous, but with stops it will be at least 10 hours. 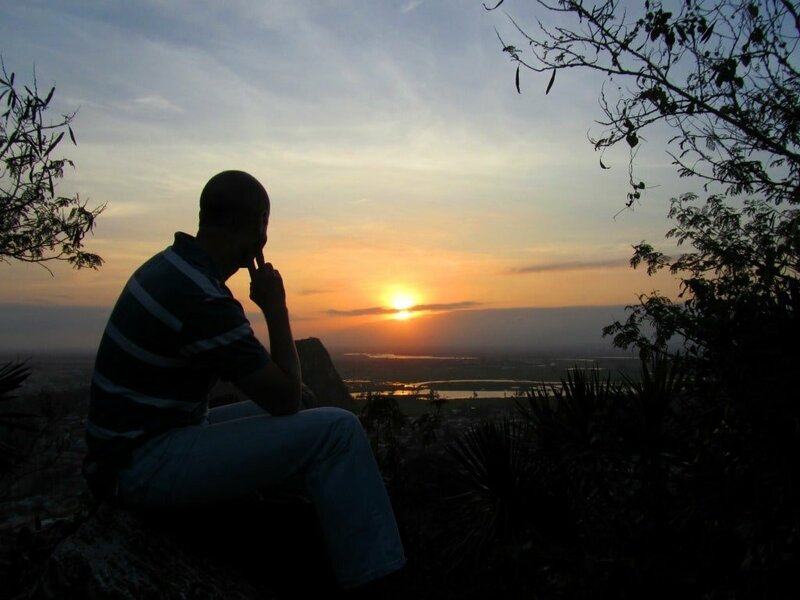 If you leave early in the morning, you’ll enjoy it a lot more too, because you’ll have more time to take in the scenery and stop for a drink and food. In general the road conditions are pretty good, but there were some road works on QL49 a few months ago. Thank you- that really helps! Good to know that it’s doable (but would certainly be a long day). We may just decide when we get there depending on weather and how we’re feeling. If we don’t do the full loop Hoi An-Prao-Hue, we were thinking of going up to Hue via Hai Van Pass and 49B instead. However, the day after that we fly out of Da Nang and thought about taking Highway 1 all the way back from Hue to Danang for a little change of scenery so we aren’t backtracking the same route. Is Highway 1 motorbike-friendly from Hue to where it intersects with 49B further south? 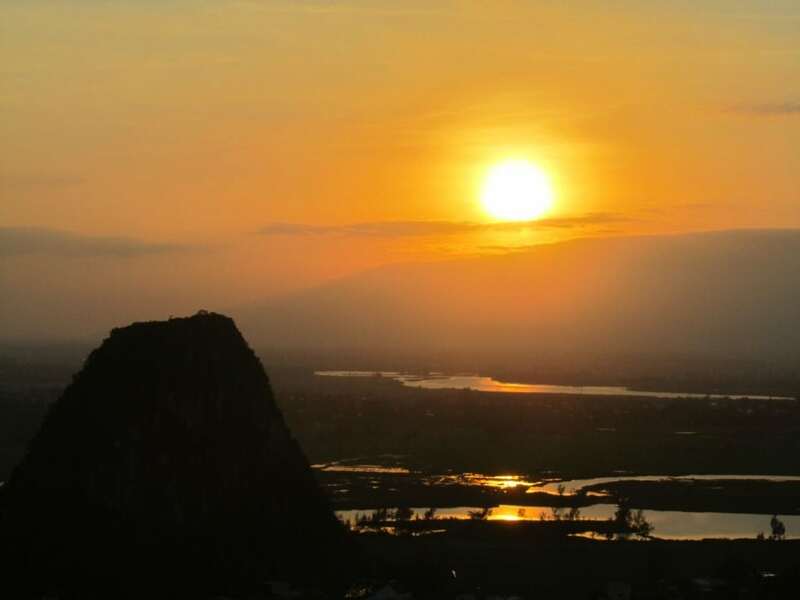 Or would you recommend avoiding that section and returning to Danang the same way? Thank you again!! There’s not much to gain by taking that section of Highway 1. It can be busy as it’s the main artery, but it’s also faster. So perhaps just wait and see how much time you have: if you’re in a hurry take the highway, if not take 49B again. Hello again, Tom! Unfortunately, Rent a Bike Vietnam in Da Nang doesn’t have any bikes available on the days we were planning to do our trip. Is there another bike rental company in Da Nang that you would recommend? Thank you again!! Yes, did you try Tigit Motorbikes yet? 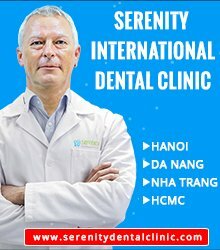 They have an office in Danang. It works a bit differently to ‘renting’ a bike, but it’s a very efficient system. sorry Tom- see second comment above. total typo and hit enter too soon! Love your website and the way you live & ride Vietnam. We are traveling through the country this week. Tomorrow morning we will be in Hue for the day and the following day (Sat) we are planning to take a motorbike from Hue to Hoi An following your coast map. Any specific recommendations for the road in this time of the year? Or where we can rent a bike in Hue and drop it in Hoi An? Appreciate you thoughts on this. Thank you! 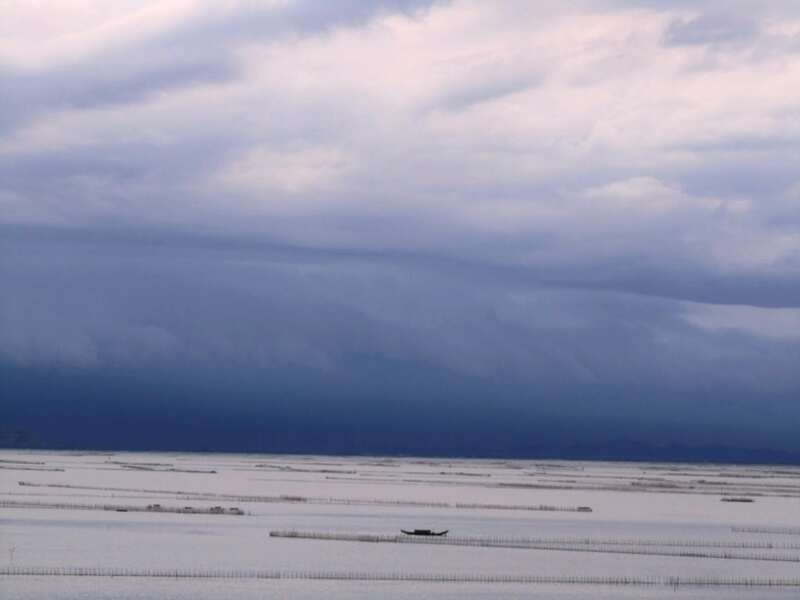 The ride from Hue to Hoi An should be great, although you may get some bad weather at this time of year. I don’t know of any specific company that offers one-way bike rental for that route. You could try contacting Rent a Bike Vietnam (check the right sidebar and bottom of my pages for a link to their site). They have an office in Danang and are in the process of setting up a one-way rental option. Although I don’t think it’s in operation yet they might still be able to give you some more advice. Other than that you will just have to ask around for bike rental at your hotel. One option might be to send the bike back to Hue by train. thanks for sharing your experience. I follow the the Golden loop’s path, but from Da Nang to Hoi An. And i must say was fantastic. I enjoy every single part of it, overall 4 days. Such an experience. Love it! Just one advice for people which ride a small bike (Honda Wave or similar): carry with you 1L of petrol because you might need to refill your tank. Thanks a lot for building this website full of good tips. Thanks! It’s great to hear that you enjoyed this loop. I love it too. And thanks for the advice about petrol. Hi Tom, awesome guides and cool information thanks. Last year I spent three weeks on a motorbike in the north and it was wicked!, love the people, food, scenery etc. Keep up the great work…….it helps a lot. Thanks. 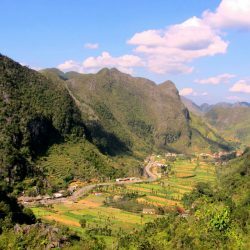 Great to hear that you’ve already enjoyed a road trip through the north of Vietnam. Great work Tom, love the detail. Me and girlfriend are planning to do the golden loop (the same route mentioned by you) this month. We however, would like to start all the way from HCMC. Could you suggest a route off the Highway. We have about 2 weeks in hand! To get to the Golden Loop from HCMC and stay off the highways, take a look at the relevant parts (the southern parts) of these routes and create your route from that. Just got back to Hoi An. The Golden Loop was amazing. Did it in 2 days. Day One up to Hue. Day two was exhausting. Hue to Hoi An. 7 hours of driving. About 275km. But amazing roads. Like you said you almost have them by yourself. Loved it. For anyone considering this loop and want to include My Son. I made a side trip to My Son from this loop. I discovered that they are currently building a bridge over the Thu Bon River near My Son. It might be complete in 2017 or 2018. When complete, this bridge will take you directly back to the golden loop without having to back track to Hoi An. Though the bridge is not yet complete, there is a ferry running that will take you and motorbike across the river. I was charged 20,000 VND. Here is the exact of the ferry. Updated: Here is the exact location of the ferry. did you leave the loop to go to the ferry to my son and did you then backtrack te same way to the loop (take the ferry again? ), or did you leave the loop just outside Hoi An to then take the bridge at mong bay lep and drive parralel to the river to My son? What is your advice on wich road to take? Txs Tom for the info! Thanks, that’s a very valuable update! It’s great to know that you can combine My Son into the Golden Loop. I’m sure many readers will benefit from this information. Another nice loop that I did during my current trip in Vietnam, starting from Hoi An and doing the loop clockwise in two days. The highlights of this loop are of course the 150km on the Ho Chi Minh road (I saw more cows on the roads than vehicles, that’s nearly scarry) and Hai Van pass, especially for going up, with a sunny blue sky. As compared to Northern vietnam roads, those roads are much esasier, however the section between A Luoi and Hue is quite bumpy except the first ten km when you leave A Luoi. This loop is a great way to explore the region beyond the touristy, but beautiful cities of Hoi An and Hue. Happy to hear that you enjoyed this loop. Thanks very much for the road update on the conditions of Highway 49 between Hue and A Luoi – sounds like it’s best to skip that for a while until they have resurfaced it. I love the Ho Chi Minh Road between Thanh My and A Luoi – such easy and beautiful riding but so few people there! I’m really enjoying your website. I arrive in June and am considering buying a motorbike at tigit. I’ll have the motorbike for about 45 days. I was very curious about the coastal area and your site has given me a great feel for what to expect. I may spend more time in the south/central than I had originally planned. Great to hear that you’re enjoying my site. The coast is great as long as you follow the right roads – stay off Highway 1 as much as possible. Take a look at my Beach Bum Route if you haven’t already. I just want to mention that when I tried spending the night in Prao all 3 hotels there refused me. I’m not sure why because they looked empty. Excellent route BTW I enjoyed it thoroughly. Thanks for sharing that (rather puzzling) experience of Prao hotels. That’s a shame – I heard from a group of riders just a week ago who found a couple of good guesthouses in Prao. I wonder why you were refused?! Glad you enjoyed the rest of this route. Thanks for putting the information for this trip out to the public. We have just arrived home from The Golden Loop trip and have been so impressed that we are planning the next trip, using your guides. Unfortunately, it was very misty when we traveled so the photos did not do justice. Next trip is further on to Khe Sahn.